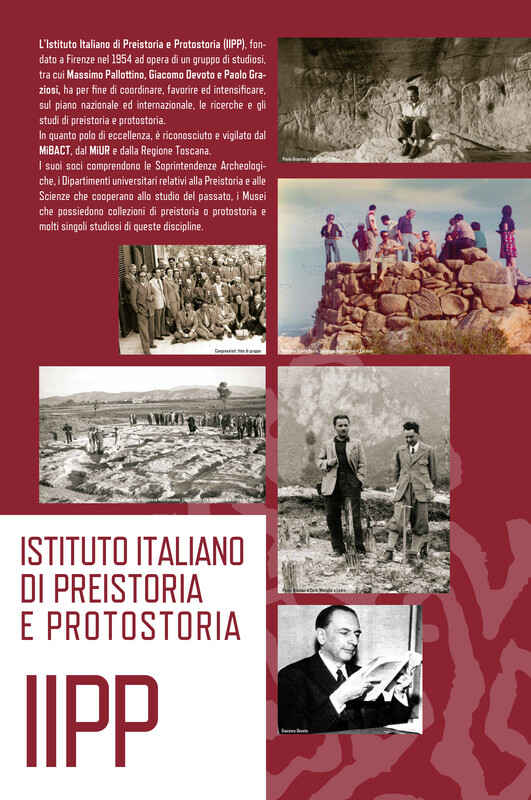 The Italian Institute of Prehistory and Protohistory (IIPP) was founded in Florence on 30 October 1954 on the initiative of an Organising Committee made up of Professors M. Bertolone, G. Devoto, S. Ferri, P. Graziosi, P. Leonardi, C. Maviglia, M. Pallottino, F. Rittatore, E. Tongiorgi, L. Trevisan and F. Zorzi. It had its premises in the historic convent of the Oblate, belonging to the Florence City Council, which previously housed the Florence Museum of Prehistory and was also home to the Rivista di Scienze Preistoriche. Florence was chosen as the site for this new association because it was here in 1912 that the first Italian institution devoted to the study of ancient man had been founded – the Comitato per le Ricerche di Paleontologia Umana – which had given enormous impetus to research on fossil man. The IIPP was established as a federation of academic institutions with the purpose of fostering and intensifying the scientific activity of the institutes and university and non-university bodies specialised in the study of prehistoric and protohistoric civilisations. The need for such an institution was felt particularly strongly in Italy because there was no permanent organ that could ensure collaboration and interdisciplinarity between research bodies and scholars operating with different methods or in areas circumscribed to specific prehistoric or protohistoric periods. The IIPP was therefore proposed as a centre for exchange and activity through which the different disciplines could pool their efforts in the common interest of furthering knowledge of man’s most ancient history. The status of the Institute as a non-profit foundation was recognised in 1961 through Presidential Decree no. 1069. The activities of the Institute are performed through its statutory bodies: the Members’ Meeting (Heritage Commissions, university departments, museums, cultural institutes and individual scholars), the Board of Governors and the President. Since its foundation the Presidents of the IIPP have been: G. Devoto (1954-1955), P. Leonardi (1956-1957), A. Chiarugi (1958-1960), P. Graziosi (1961-1988), A.M. Radmilli (1988-1998), C.Peretto (1998-2000), M. A. Fugazzola (dal 2000- 2003), A. M. Sestieri (2003-2009), R. C. de Marinis (2009-2012) and M. Bernabò Brea (since 2012). 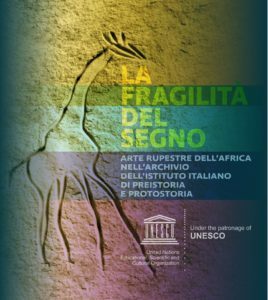 In 1988, following the instructions set forth in the will of Professor Graziosi, the Institute entered into possession of an important book collection (the Paolo Graziosi fond), an extremely large archive of photographs specialised in the field of prehistoric art, and the journal Rivista di Scienze Preistoriche. During 1999 several amendments to the criteria for the admission of members were approved with a view to expanding the participation of scholars of prehistory and protohistory in the life of the Institute. Since 1984 the Institute has been included in the list of cultural institutions which are assigned an annual contribution by the (then) Ministry for Cultural and Environmental Assets, pursuant to Law no. 123 of 2 April 1984. Through DPCM 4.2.2015 (GU n.79 del 4.4.2015) the Institute was included among the “foundations and associations having statutory purpose for conducting or promoting scientific research activities ” in favor of which you can deliver donations in cash or in kind from the total income declared by individuals or entities. Through the Decree of the President of the Council of Ministers of 31 October 2016 the IIPP was included among the entities qualifying for the deductibility of donations made to them (article 1, subsection 353 of Law no. 266 of 23 December 2005).